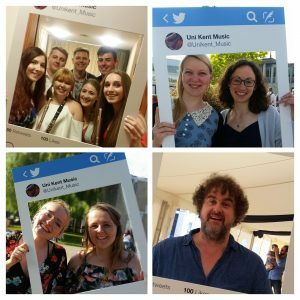 Wood Award | Music Matters | Because it does. Doesn't it ? 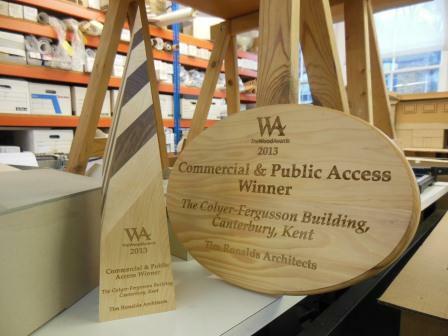 We’re delighted to announce that the Colyer-Fergusson Building was a winner at yesterday’s Wood Awards. The walls and ceiling are completely lined in Douglas Fir Plywood, supported on a steel frame, and braced with solid Douglas Fir rails which stiffen the linings to avoid any unwanted resonance at musical frequencies, and provide acoustic diffusion. 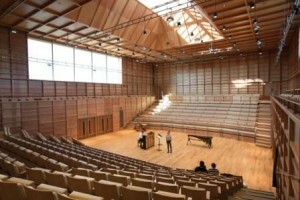 The acoustics can be modulated to suit music-making of all kinds with curtains that transform the interior into a soft, fabric-lined space, and retract behind the timber wall linings when not in use. 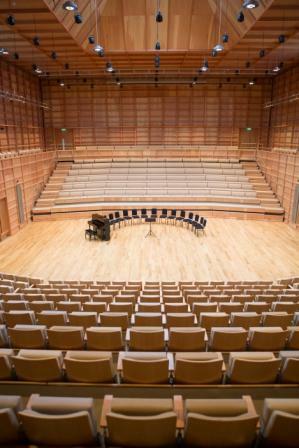 The design provides an unusual degree of flexibility for a hall with world-class acoustics…The retractable seating is finished with Douglas Fir fascias, continuing the material and rhythm of the hall lining panels. Read more about the building on the Wood Award website here.